The Super Sports Workout Protocol products below can take your energy in the gym to a new level. Want to tear up the gym with an 'animal' workout? Try this! Montiff Super-Sports is a superb ANABOLIC supplement to take your workouts to a new level. (ATP is a great cellular metabolism booster for higher energy level). Taken on workout days, if 3x per week, over 2 months supply. 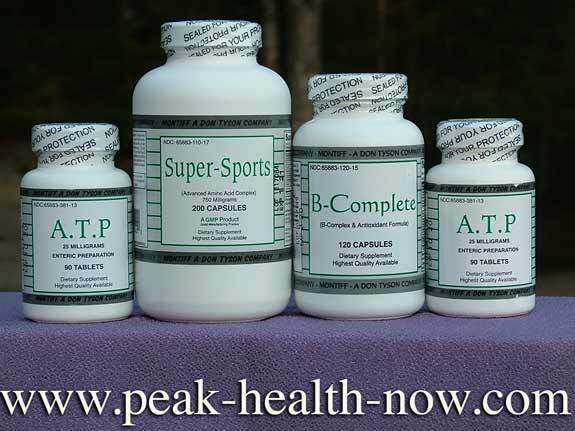 1/2 - 1 hr AFTER workout: Take 3 Super-Sports capsules, 3 ATP tablets and 1 B-Complete capsule with a meal.